Building a platform is something we have been passionate about at Intercom from the start. From very early on, we’ve invested in an open platform and have supported a growing ecosystem of partners and customers building on it ever since. In April, we launched our new Messenger, making it possible to use apps for quick actions right inside the messenger. Along with it came a major new addition to our platform – a simple, easy-to-use framework that opened up our Messenger to third parties for the first time. There are now developers from over 600 companies in our early access program building apps for both their own teams and other teams to use too. We’ve been so inspired and humbled to see the incredible enthusiasm for the framework so far. We knew from the beginning that opening up this framework would be key to making apps in the Messenger a success. 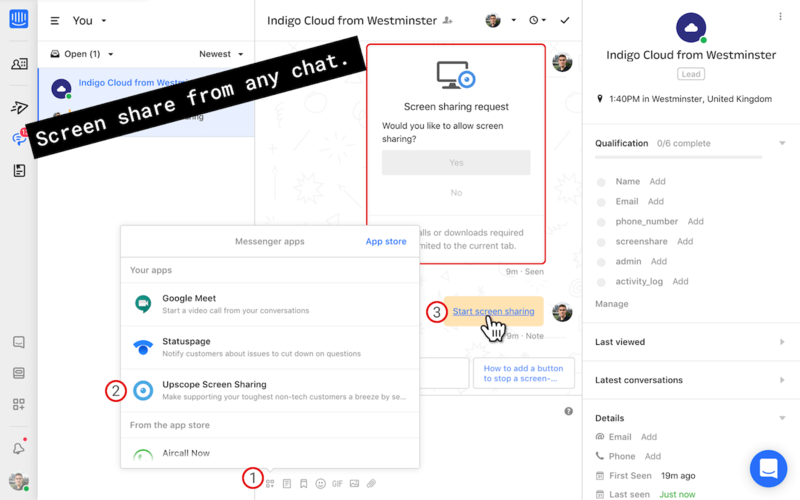 People were already sharing links to other tools in the Messenger – 1 in 7 conversations include links to other tools they’re using to get stuff done. It made sense, then, to bring those actions into the Messenger so that they could be completed with much less friction. But not only would it be impossible for us to build an app for every possible tool our customers use, we also knew that the imagination and innovation of our partners would enable whole new use cases we hadn’t even thought of, unlocking a world of possibilities for our customers. We’re absolutely thrilled to now have nearly 100 apps in our app store and want to share some of our favorite new additions. But before we get started, a huge thank you to those of you who’ve already started building on the Messenger apps framework. Without your enthusiasm and feedback, we wouldn’t have been able to iterate so fast. We’re so excited to continue building tools to enable you to build richer apps even faster. We’re obviously big fans of chat, but sometimes jumping on a video call is the quickest way to close a deal or demo a solution to a customer. Daily.co’s app makes it easy to start a video call right inside the Messenger – with no downloads, no account required and screenshare built in. Adding video to your conversations couldn’t be easier. If you’re hiring, the Messenger can be a great way to engage with potential candidates browsing your site. 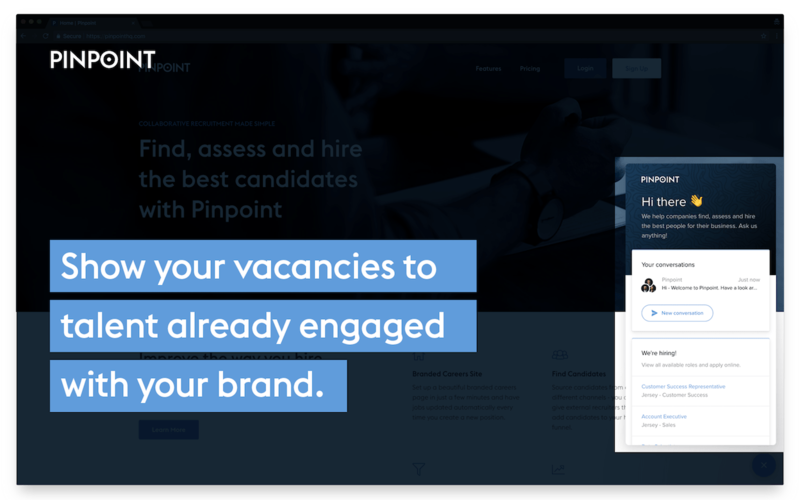 Pinpoint’s app makes it easy to capture more candidates by advertising your open roles on your Messenger homescreen, and letting candidates apply from right there in the Messenger. Sherlock lets you craft your own engagement scores based on the user actions most important to you. 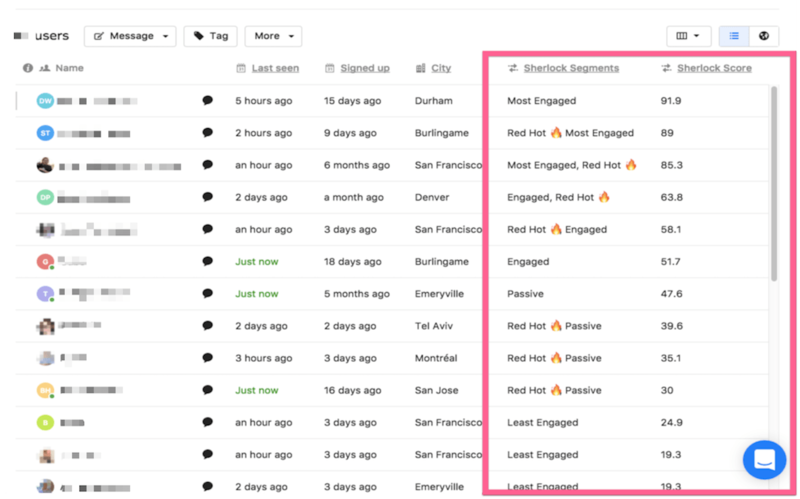 Now, you can use those engagement scores inside Intercom to send more targeted messages – for example, re-engage at-risk customers with a targeted campaign, or tailor where users receive announcements; in-apps for those who login regularly, email for those who don’t. Plus, your teams can use these scores to provide more relevant support when they’re talking to a customer too. If you like to offer phone support to your customers in addition to chat, the JustCall Direct app makes it easier than ever. 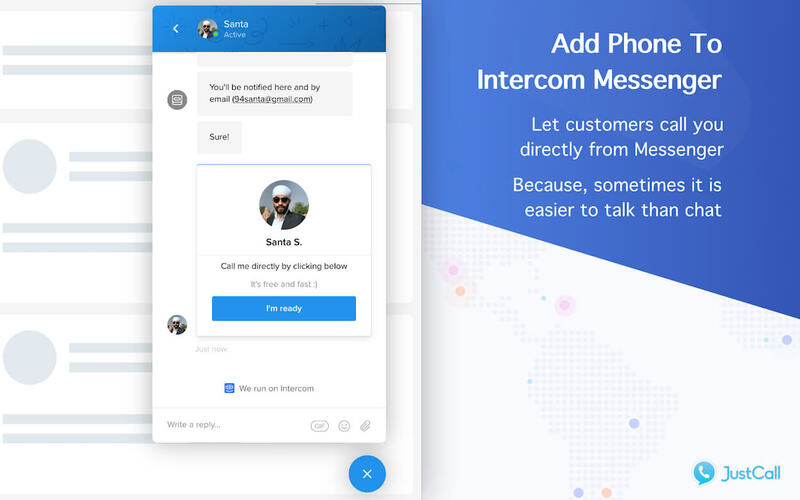 Now, you can let your customers jump on a voice call with you from the Messenger with a single click of a button. What’s more, these calls and recordings are logged in Intercom in their profile too, so you’ll always have context on previous conversations. Sometimes showing is better than telling, which is why co-browsing – where you show a customer directly on their own screen – can be such a valuable support tool. Upscope’s new app makes it seamless for customers to give permission in one click from the Messenger. Then, you can show them on their own screen – click, scroll and even draw on their screen to guide them. All without your customers needing to download anything or leave the Messenger. If you’re an Intercom customer, you can discover and install many more apps in the app store. If not, you can browse more Intercom apps here and follow our new Product Hunt collection to be the first to know about new ones! If this has got your imagination going, the good news is it’s really easy to build your own apps on our platform – whether that’s apps just for your own team to use, or apps you want to publish in our app store for others to discover and use too. Some of our partners and customers have built apps in less than a day! Check out our developer docs and get early access to our Messenger framework. We can’t wait to see what you build.